September is often dubbed "the other January" because it's a fresh chance for us to tackle goals as we return to school and work. But as stress accumulates over the coming weeks our skin will probably crave a little TLC, especially when summer tans fade and the damage wrought by pollution and sun starts to reveal itself. The good news? 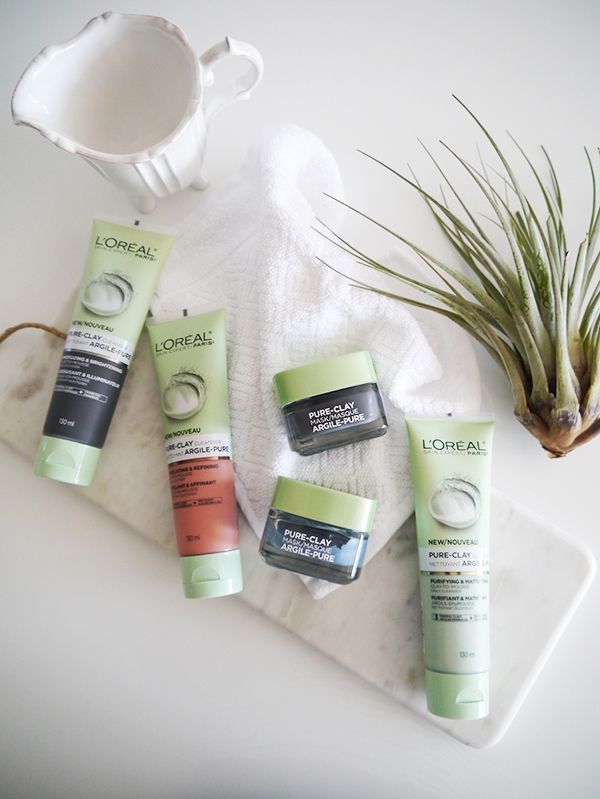 You don't have to spend a mint to get effective skincare that works as the L'Oreal Pure-Clay line proves. This collection of masks and cleansers is formulated to tackle a wide variety of concerns and features a trio of clays (Kaolin, Montmorillonite, and Moroccan) as the hero ingredients. I've been testing them on and off since they crossed my beauty desk earlier this summer—I have my favourites and I'm sure if you try them, you'll have the formulas you're partial to as well. All the details after the jump! 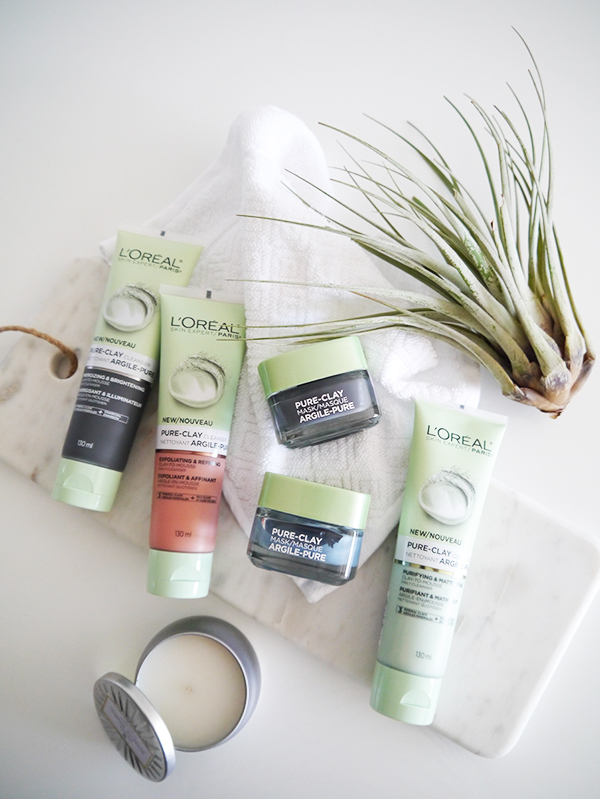 I was immediately drawn to the L'Oreal Pure-Clay Energizing & Brightening Mask ($14.99 at London Drugs) because the press materials dubbed it the hero of the clay mask collection and I was not disappointed. Apply the mask to clean, dry skin for 10-15 minutes; it goes on thick and opaque and feels tighter as it dries and draws impurities out of pores. The charcoal in the formula helps detoxify and brighten. The mask can be messy, so I recommend using a synthetic bristle flat foundation brush to apply it—you won't get black gunk stuck under your nails like you would if you were to use your fingers. You'll also want to use a paper towel soaked in water to remove it afterward, as this black mask can stain. The results are worth the mess though. The first time I used it, the mask tightened and seemed to emphasize every pore as it dried, and my pores looked large and congested. As I used it more often though (the instructions recommend 3 times a week for optimal results), my pores looked smaller and clearer with each use. 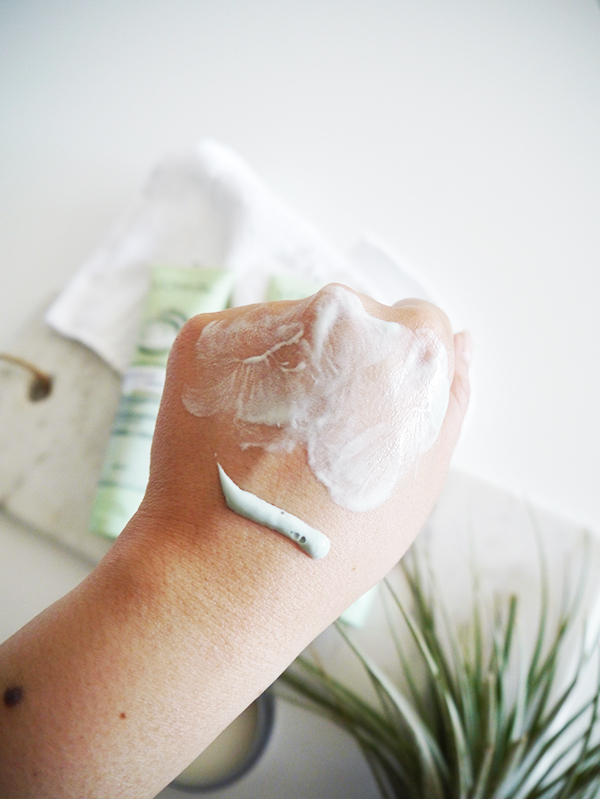 True to its claims, this mask left my skin looking more radiant and even-toned immediately, and because it was so effective at detoxifying I used it often during the days when Vancouver was smoggy and filled with wildfire smoke. The clay blend was effective at deep-cleansing but didn't leave my skin feeling stripped or dry. On days when I didn't want to do a full-on mask, it was also great just across the nose and T-zone. 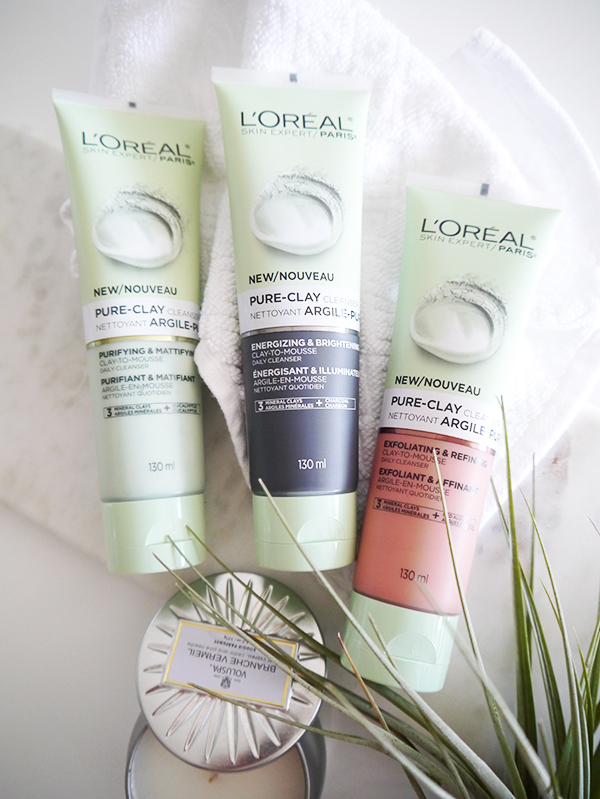 This was the first product I tried out of the L'Oreal Pure-Clay collection, and it made me eager to try more. Because I was so infatuated with the black Energizing & Brightening clay mask, I haven't had as much opportunity to test the newest mask to join the Pure-Clay line, the L'Oreal Pure-Clay Comforting & Unifying Mask ($14.99 at London Drugs). 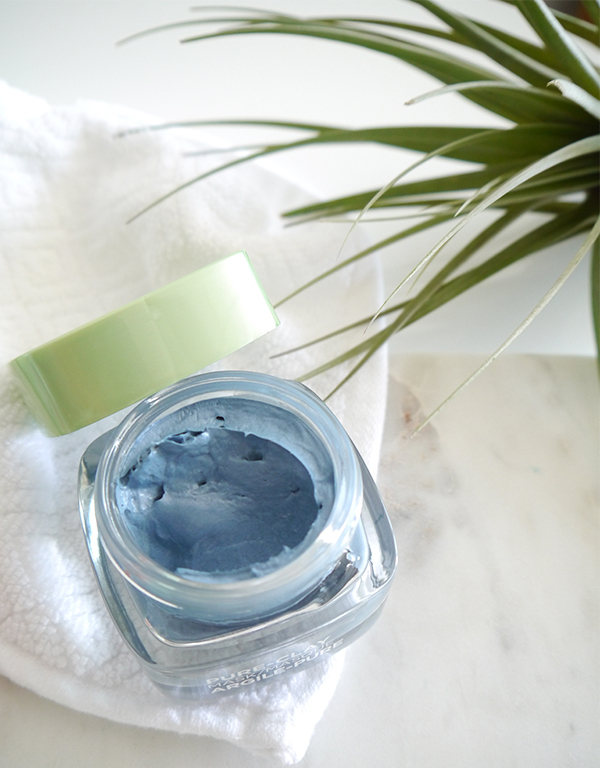 Aside from the luminous blue colour of the clay mask, the key difference with this formula is that it features seaweed to soothe uncomfortable skin while the clay trio gently cleanses pores. Immediately upon application, it was cooling to the touch and had a nice tingle to it. 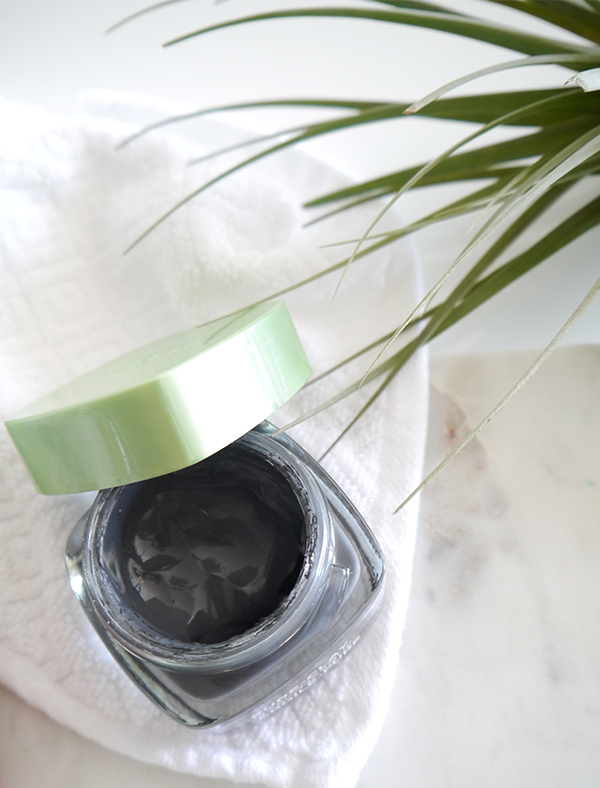 While it dried down somewhat, it never tightened or acquired the dessicated clay texture of the black Energizing & Brightening mask. After rinsing the mask away, my complexion felt refreshed and looked brighter. The mask also calmed some of the inflammation in a blemish on my nose and an insect bite on my right cheek. The Energizing & Brightening Cleanser ($11.99 at London Drugs) is the black one. Like the Energizing & Brightening Mask, it contains charcoal to detoxify and brighten, thereby making it easy to enhance the results of the twice weekly mask with your daily cleansing routine. To be honest, I think the mask (which is left on skin for 10-15 minutes) does a lot more than the cleanser (which is left on skin for around 30 seconds), but it is a nice, effective cleanser that isn't too drying and I like the fact that it's sulfate-free. The Purifying & Mattifying Cleanser ($11.99 at London Drugs), or the green one, has been delightful to use during the past few summer weeks. The eucalyptus and salicylic acid in the formula not only deep-cleanse, mattify shine, and help control oil, they also leave behind a tingly refreshing clean that feels terrific on hot days, all without over-drying. This one does contain sulfates though. The red Exfoliating & Refining Cleanser ($11.99 at London Drugs relies on red algae extract, salicylic acid, and a scrubby, granular texture to gently exfoliate. Personally I prefer exfoliating with acids or products that have a bit more oomph, but if a scrubby cleanser floats your boat this one's a solid choice. Of the two masks and three cleansers featured in this post, I'd have to say the black mask and the green cleanser are my favourites. But then again, at less than $20 a pop you don't have to choose—you can easily snap up several and multi-mask to your heart's content (always a plus for combination skin!). Which ones appeal to you?